Summer is on it’s way! Sun, warm nights out, beach parties, camping and the list goes on. I could tell you 1000 more reasons why I love summer but that’s not not my point here. I just wanna say that I can’t wait to see what this summee brings. In July I am planning on visiting three cities in China: Beijing, Shanghai and Hangzhou with a bunch of people from my chines study group. Besides visiting, the purpose of our visit there is to learn more chines and of course more about China. During our two weeks there we will have our teachers by our side everyday and they will help us if for example we want to buy something and we don`t know how to talk to the people there. I am really excited because I have never been to China before and I can`t wait to see those big cities and to learn more about their culture which is very different from ours. After my trip to China, I am planning on spending a few days at the beach. I don`t know the exact location yet but I know I really want to go. I love to go to the seaside! I do that every year! It`s something like: “Dear sun, sand and waves, you know I will come back to you over and over again!” I love to stay up the whole night and then watch the sunrise in the morning at the Black Sea. To me summer means going to the beach not having a single problem on your mind and having fun with my friends. 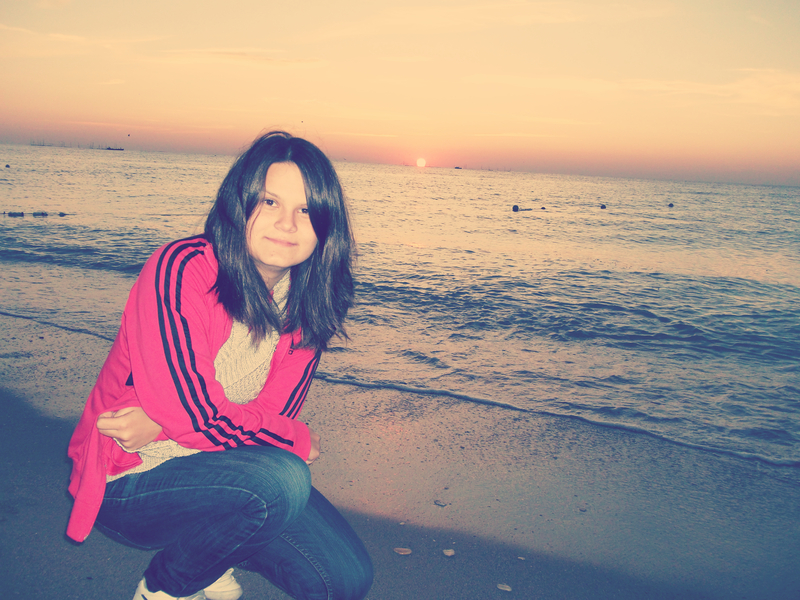 I don`t remember one year not going to the seaside. When I was little my parents used to take me there and now that I have grown, I go with my buddies. I can`t describe the feeling I get when I am on my way to the seaside. It`s like my way to freedom, my way to happiness. I love the waves! I could stay days watching them. I love it when there are big waves and the lifeguards rise the yellow flag. The yellow flag means that there are bigger waves than usual but you can still go in the water. When there`s the red flag, which means that there are big waves coming and you are not allowed to enter the water. When I say big waves don`t get the idea of massive waves, I for one have never heard of massive waves at the Black Sea. Nice plan. Enjoy. Shanghai and Guangzhou are very nice. Your summer sounds so exciting! I’ve never been to China, but it’s on my list! Hopefully one day I’ll make it there. Like you I spent a large part of my life going to the beach. I live just 30 minutes from the coast and go as often as I can. I don’t think I could live too far from the sea now.